In her book ON LOOKING, Alexandra Horowitz is aware of how ‘blind’ she has become in her habituated daily walk around her block in New York. She invites eleven experts to each accompany her on her walk so that she can experience from their different perspectives, an environment that had become very familiar to her. I might similarly invite a client to take a walk and look at her situation through, say, the eyes of a child, of a dog, of an astronaut, or of her older/younger self, (you can make up many different options) and it is amazing how quickly new perspectives come into her awareness and she sees new options and choices. This recent video from The School of Life, titled What it’s Like Inside our Minds, inspires me to ask a client where she is shining her spotlight. I invite her to see what was lurking in the darkness that she might bring into the light. Awareness means seeing what’s in, and what’s not in focus. I invite my client to visualize a spotlight (or the beam of a searchlight) to explore the unlit nooks and crannies of her mind and of her heart, to find the places where something is stuck, or to uncover the dreams and ideas that she is not yet speaking into the world. And this perhaps most simple one: when a client declares something to be fixed in their world, often expressed as a self-limiting belief or judgement (e.g., It’s because I am too young, too old, too careless, too lazy, …etc, etc) I will offer a simple “OR NOT” comment and pause while he hears it. I usually find he will automatically repeat those “or not” words, inviting their own brain and hear to consider an ever so gentle opening and awareness of another way to look at their situation. Finally, courtesy of IAC Master Masteries Coach Sue Johnston, who this very evening helped me shift my own awareness with the technique of creating an “I DID” list rather than a “TO DO” list. In our coaching conversation this evening, I was reflecting on a day when I had not felt very productive or creative. Where I felt I had been moving pretty slow. When I might even have labeled myself lazy. Sue masterfully brought my awareness to all the things I HAD created and achieved today and which were already on my “I DID” list. With that expanded awareness I was able to fully own how successful my day had been. Additionally I was reminded how important it is for us as coaches, no matter how experienced we are on this journey, to create the space for our own reflection, self-listening and constantly increasing awareness. Thank you Sue. Awareness expands in direct relationship to the questions we ask; are asked and take time to explore. Like pebbles on a still, deep pond of water, the ripples open up to reveal new insights, possibilities and potential in increasing circles of awareness. Does Awareness Support Our Clients? Nature teaches us about awareness every day. For example, when we first become conscious that the sun has shifted its position on the horizon at sunset or sunrise we realize a new season is underway. Likewise, when we notice new blossoms in the spring, or ripened fruit in the garden for the first time in the autumn, or that a holiday or birthday is fast approaching calling for us to celebrate, or when we hear a new birdsong for the first time in months, we become aware change is at hand. In my part of the world I become aware of the passage of time from winter into spring when the frozen river thaws, freeing the water that has been trapped in ice. The ice suddenly breaks up starting its eager flow toward the Rio Grande. Often people seek coaching because they feel stuck on an issue, subject, or in a situation and seek support to moved beyond. The first step for them to take is developing awareness. In the coaching relationship awareness can also be thought of as consciousness and understanding of an issue, subject, desired change or situation. Awareness does not require change. It does require acceptance. Before our clients can get clear so that they can forward, they must first become aware, or in some cases explore their awareness further. With masterful coaching they open to their conscious connection with, and deepen their understanding of an issue, subject, change or situation. They become aware of the pros and cons, costs and benefits, and desired results of taking a specific action, which may include doing nothing. Until our surrender to awareness in the present moment, they are mired in uncertainty. They don’t surrender in terms of defeat, rather in terms of acceptance. A downside of awareness is that once aware, always aware. The good part of awareness is that options emerge. The better part of awareness is that our clients are now empowered to get unstuck with the support of the coach and all the IAC Coaching Masteries. Awareness is implicit in all of the IAC Coaching Masteries. In my understanding of the IAC Coaching Masteries; Mastery #3, engaged listening, belongs in the center of all of them. 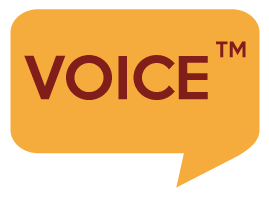 Not only do we listen deeply to our client’s words, tone of voice and overall energy, we support them to listen deeply to themselves. We ask questions that will open our clients to how they feel, think or act in the situation being explored. Awareness is deepened by the clients’ sensitivity to the value inherent in awareness. This clarity clues them into their desire for a particular outcome, which, in my experience, begins with self-acceptance in the present moment. When they become aware they have all their faculties at hand; body; mind; spirit; emotions and possibility and can go deeper into where they want to focus their energy, their desired outcome. This makes Mastery #4, processing the present, equally as helpful. Once they are aware of the desired outcome our client is now free and empowered to choose change… or not, as the case may be. This is a choice that opens the doorway to possibility. This is how awareness supports our clients. When we say, “I lost my head for a moment,” it is an allusion to that brief period of time when we stopped thinking rationally. A moment that was possibly brought about by feelings like irritation, anxiety or confusion but one that is usually swiftly followed by an insight that denotes self awareness. Raising the client to a heightened sense of self-awareness is usually the first step taken by experienced coaches. By assisting their clients to identify those distractions that ‘block’ them and improving self awareness they create the space for expanding their potential. Awareness operates in multiple dimensions and layers. Moving beyond self awareness, we become socially aware when there are people around us and that might induce a plethora of feelings ranging from apathy or indifference to empathy and compassion. In another dimension, when we are conscious of the challenges posed by the environment and culture in which we operate, systems awareness helps us to plan and strategize tasks for maximum effectiveness. At the same time, over the course of a day, we function at varying layers of awareness that range from oblivion during deep sleep to meta- self awareness while fully engaged in an activity. Champion sports-persons, theater artistes and business leaders frequently attribute their successes to heightened levels of these various dimensions of awareness while deeply engaged in their professions. Deeply interested in the concept of awareness and its critical value for coaching, I developed and presented, the AWARE© Model at many global forums in 2016. The model introduced the five stage ‘path to awareness’ that included: Awakening- Willpower-Action-Reflection-Engagement. 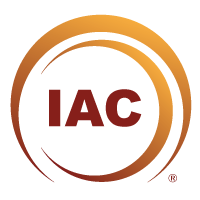 In the model, a methodology to integrate the IAC Coaching Masteries was also shared. 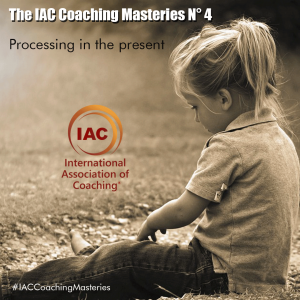 While the concept of Awareness is present in every IAC Coaching Mastery, given this context, a particular favourite with many coaches is our Mastery # 4 (Processing in the Present). Which would be your favourite?